Freida McInroy, 93, of Marshalltown, left this earthly life on the afternoon of Sunday, January 27th, surrounded by family, and in the excellent care of the staff at Glenwood Place and Iowa River Hospice. Memorial services celebrating her life will be held at 10:00 a.m., March 2nd, at St. Paul Episcopal Church. There will be no visitation and memorials may be directed to the church. For condolences, please visit www.mitchellfh.com. The Mitchell Family Funeral Home is caring for Freida and her family. Born June 29th, 1925, in the community of Bonarlaw, Ontario, Canada, she was the daughter of Eppie (Foshay) and John McLaren. 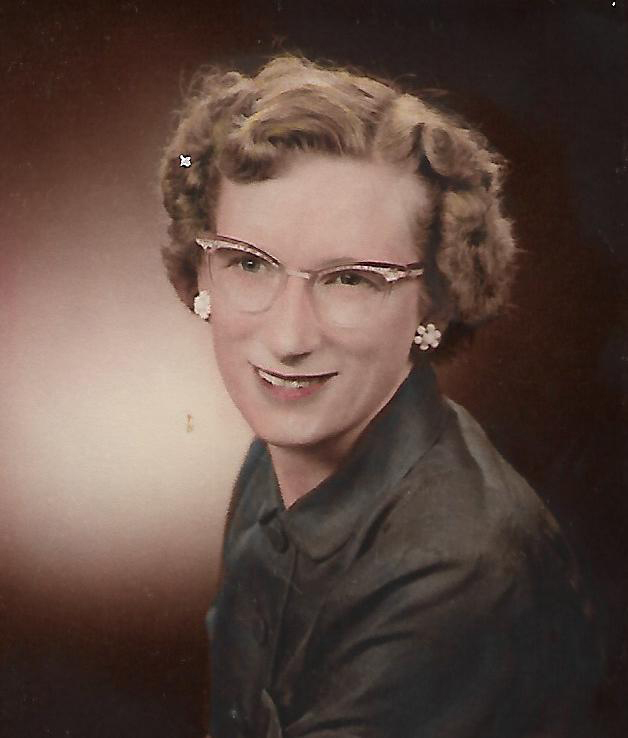 She and her husband (Elmer) (Mac) started life in the US in the New York area, moving to Marshalltown in 1957. Freida was employed as a dental assistant for Dr. David Blaha and Dr. John Wells. She was also instrumental in starting the dental assisting program at the community college. She was member of St. Paul Episcopal church serving on numerous boards and committees. She was a member the Eastern Star and Elmwood Country Club where she was a safe, consistent golfer. She gardened and played a wicked bridge game. Left to cherish her memory are her children Elisa (James) Cartier, Dan (Carroll) McInroy and Andrew (Mary) McInroy. She had five grandchildren: John Cartier, Delia Jones, Israel Cartier, Ian McInroy and Emily McInroy. She had eight great-grandchildren; a brother, Ken McLaren, as well as nieces and nephews. In death, she joins her husband Mac and grandaughter Mary Cartier and four siblings.